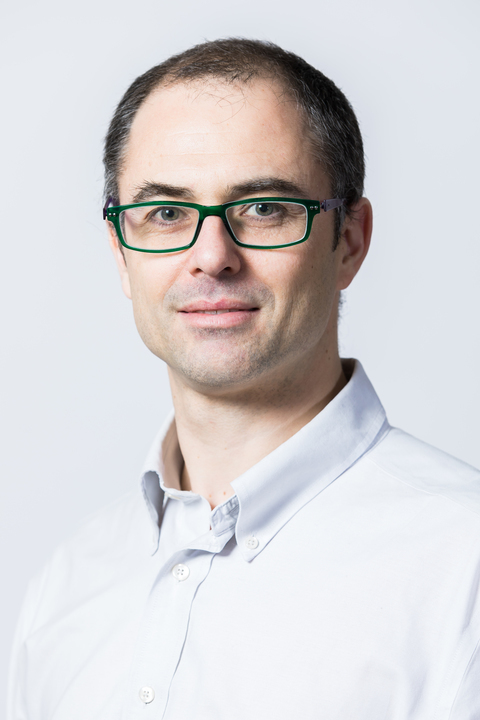 Dr Ignazio Maria Viola is Senior Lecturer at the Institute for Energy Systems (IES) of the School of Engineering, University of Edinburgh. His background is in yacht sail aerodynamics, where his research is internationally leading. Since 2003, he has collaborated with four America’s Cup teams and an Olympic team. He was awarded 2 Medals of Distinction (2015, 2012) and 1 Medal of Exceptional Merit (2011) by the Royal Institution of Naval Architects, an institute of which he was elected Fellow. Our research is in applied fluid dynamics and focuses on those conditions where the forces on a body immersed in a fluid are due to the formation of vortical flow structures. This often occurs in Nature, where natural evolution has led to optimal solutions for complex problems. Hence, we seek inspiration from the fluid mechanics of plants and animals to develop new technology. Vortices, for instance, are exploited by natural flyers to fly stably and efficiently in the turbulent wind. Similarly, the forces on very thin surfaces, such as the wings of small drones and the sails of a yacht, are dominated by vortex flow. Our research aims to understand and, when possible control, the formation, stability and interaction of these vortices in order to improve performance, efficiency and survivability of different engineering systems. Our research in yacht engineering aims to develop new fundamental knowledge on the aerodynamics of sails to improve the performance of competitive yachts. Sails are very thin wings. Differently from conventional wings, such as the wings of an airplane, the flow separates at the leading edge forming complex tridimensional vortical flow structures. Hence, while wings are typically designed to prevent flow separation and enable the air to flow smoothly along the wing, the flow around the sails is separated and the aerodynamic force is mostly provided by the vortices in the flow. The fluid mechanics principles that allow a passenger jet to lift off the ground are not applicable to the flight of small flyers. The reason for this is scaling: human flight requires very large Reynolds numbers, while small plants have comparatively small Reynolds numbers. At this small scale, there are a variety of modes of flight available to plants: from parachuting to gilding and autorotation. Our group studies the aerodynamics of small plumed fruit that utilise a new mode of flight. If a dandelion fruit, for example, is picked up by the breeze, it can be carried over hundreds of miles. Incredibly, the filament structures of these seeds are mostly empty space, making this an extremely efficient mode of transport. Moreover, the fruit can become more or less streamlined depending on the environmental conditions; in this way, they behave as a smart technology. We are uncovering the novel engineering principles of these fruit, using a combination of numerical, analytical, and physical modelling. Our group has built a specialised wind tunnel, which we use alongside particle image velocimetry and high-speed imaging to visualise and measure the flow around these fruit. Very strong currents flow in some parts of the ocean, thousands of time more powerful than a strong wind. The power in these currents is completely renewable and virtually unlimited. In Europe, for example, highly energetic tidal sites include the north of Scotland, the straights of Messina, the Dardanelles Strait, the coasts of Brittany and Normandy. The first MW-scale arrays of tidal turbines is currently being installed in Scotland - yet our understanding of the tidal flow remains marginal. More importantly, it is still unclear which is the most efficient technology for energy harvesting. Our research aims to understand the unsteady hydrodynamics of tidal energy harvesters and to design more durable and efficient technology. Inspired by the extraordinary abilities of natural swimmers, we study morphing technology that can mitigate load fluctuations and new-concept array design inspired by the synergetic fluid dynamics interactions in fish shoals.